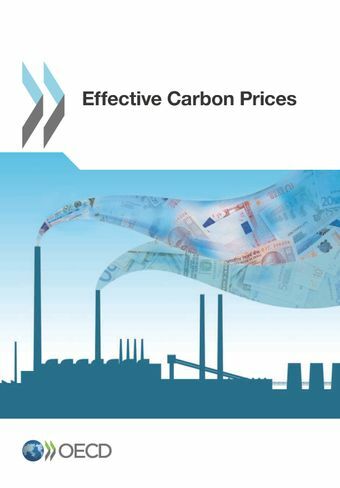 Carbon taxes and emissions trading are cheapest ways of reducing CO2, OECD says, OECD News Release, 4 November 2013. The Policy Perspectives give an overview of recent OECD findings on each of these forms of carbon pricing. It documents the current use of different types of carbon pricing and fossil fuel support, and finally considers carbon prices for different policy approaches that will be needed to reach internationally agreed goals to limit climate change. The overall conclusion is that explicit and implicit carbon prices vary considerably, both within and across countries. The above publication builds on the report Carbon Emission Policies in Key Economies, published by the Australian Productivity Commission in 2011, assessing the costs to society of the different policy measures, their (relatively short-term) impacts on carbon emissions, and calculates the costs per unit of CO2 abated. Emission changes are estimated in the latest year for which data are available – normally 2010. The report by the Productivity Commission covered the effective carbon prices related to electricity generation and road transport in China, Germany, Japan, Korea, New Zealand, the United Kingdom and the United States. The OECD has extended the country coverage to include Brazil, Chile, Denmark, Estonia, France, South Africa and Spain. It has also expanded the sectoral coverage to include effective carbon prices in the pulp & paper and the cement sectors, as well as in relation to household energy use. Comparisons of effective carbon prices that different economic sectors face within and across countries are of great economic and political interest. Effective carbon prices arise either explicitly via carbon taxes or emission trading systems, or implicitly, via the abatement incentives embedded in other policies that influence greenhouse gas emissions. Whilst some may argue that “judging” instruments' “performance” in terms of costs per tonne of CO2 abated can be “unfair” for some of the instruments covered, such as insulation of houses of low-income families (given that abating CO2 emissions may not be the main policy objective), carbon abatement has indeed been one of the main arguments used in public debates in favour of the introduction of other instruments with very high effective carbon prices (e.g. measures promoting biofuels and other renewable energy sources). Individual country results are available for the following countries: Australia, Brazil, Denmark, France, Germany and Japan.